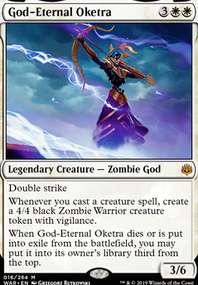 Oketra + Akroma's Memorial: Double Strike or First Strike? 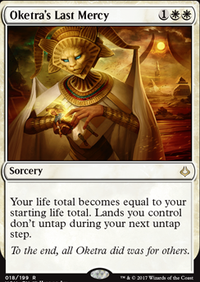 Hey, I would say my decks power level floats around 8, and I would say yours is ~6 based on the speed (10 being cEDH ready). 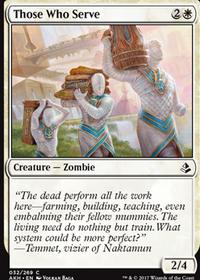 I for sure don't think you should lower your creature count, but should instead look to increase it with your trample effects. You need to commit to your strategy instead of stretching yourself. 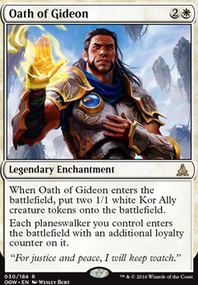 I had an early version of my deck that looks similar to this with the gods + Oketra the True and Odric, Lunarch Marshal for powerful swings, but ended up cutting the deck down to make it faster with the dorks. 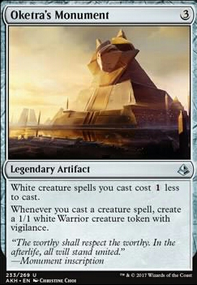 As for cuts, Luminarch Ascension is a bit slow and puts a target on you. 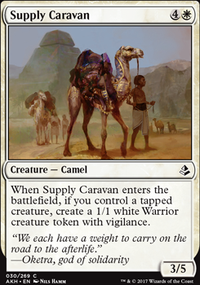 Crush Contraband and Return to Dust also seem like a bit much, but it depends on your meta. 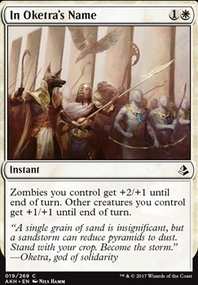 I would replace them with creatures that destroy artifacts/enchantments like Qasali Pridemage . 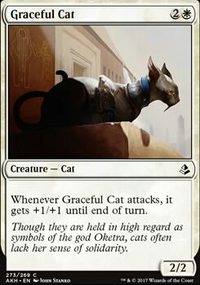 I also never liked Angelic Skirmisher , at that mana cost I want creatures with immediate impact when they hit the board. I also don't like Genesis Wave . 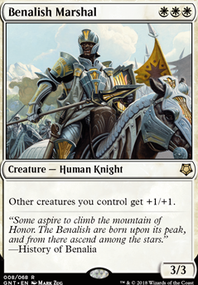 It's a fun card, but I struggled to get good waves, and I have tons of dorks and Gaea's Cradle . 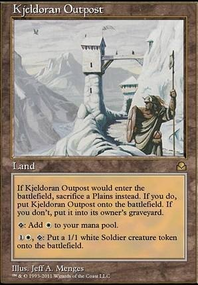 I'd imagine it's tough in this deck. 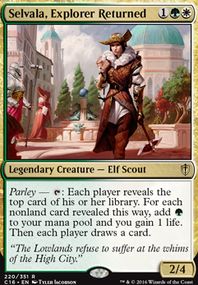 Also Priest of Titania would be money with all the elves you have. 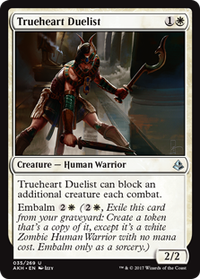 Not really in line with your small creature theme and will most likely draw some hate but Zetalpa, Primal Dawn is a beast in my Odric deck. 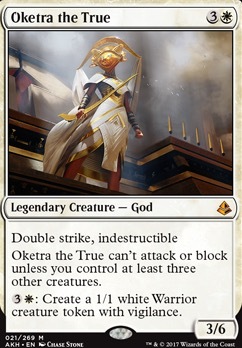 Same with Oketra the True . A bit spendy but Emeria, The Sky Ruin is great as well. Triumph of Gerrard goes well with Odric's plans. 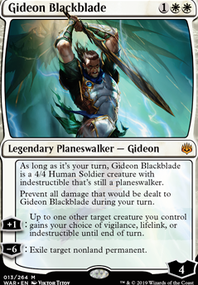 Spear of Heliod , Always Watching , Dictate of Heliod , Cathars' Crusade , Light from Within ...and maybe even Elesh Norn, Grand Cenobite . "700.4. If a permanent is indestructible, rules and effects can’t destroy it. 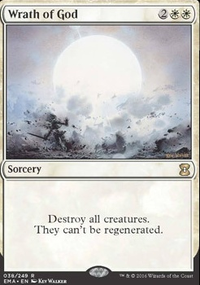 (See rule 701.6, “Destroy.”) Such permanents are not destroyed by lethal damage, and they ignore the lethal-damage state-based action (see rule 704.5g). Rules or effects may cause an indestructible permanent to be sacrificed, put into a graveyard, or exiled." 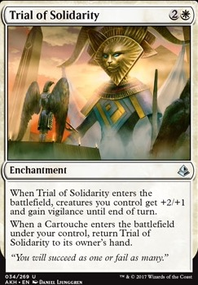 If you don't go with an all Soldier tribal, there are some big hitters that provide a lot of utility evergreen abilities like Akroma, Angel of Wrath, Zetalpa, Primal Dawn, Danitha Capashen, Paragon, Baneslayer Angel, and Avacyn, Angel of Hope. 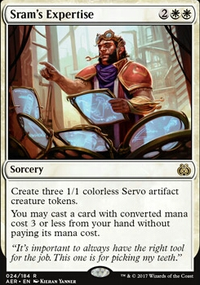 Also below is some additional cards for interaction or synergy. 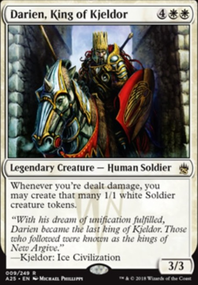 The other options for tokens going wide would Heliod, God of the Sun, Oketra the True, or Brimaz, King of Oreskos. The reason being, Heliod is not a creature most of the time and is indestructible making him hard to remove, providing you with tokens when your sitting still. 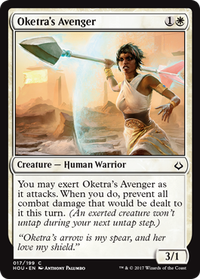 Oketra provides the same but is easier to deal with as opposed with Heliod. 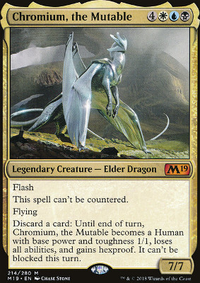 Brimaz is more of an aggressive token deck.